Did an BFMTV broadcast in France show a caption that read "Interdiction porter un gilet jaune jusque'à novel ordre" ("It is forbidden to wear a yellow vest until further instructions")? 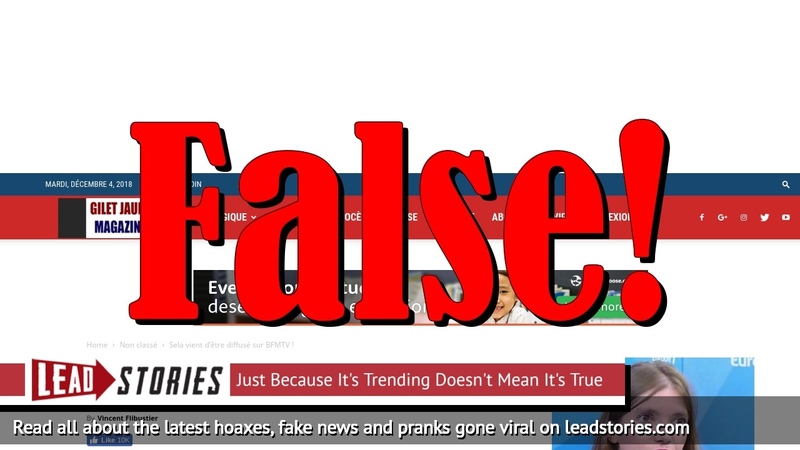 No, that's not true: the image was faked by a Belgian satire website that often doctors BFMTV screenshots. 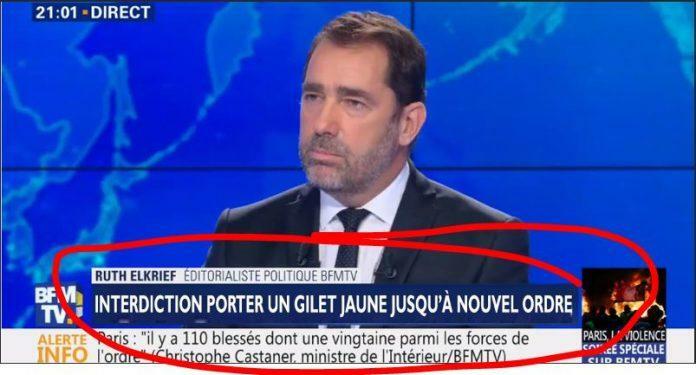 Sela vient d'être diffusé sur BFMTV ! But Le Journal Du Nord (nordpresse.be) is a satirical website that was set up to mock the (real) sudpresse.be (since renamed sudinfo.be), a Belgian media group. They were involved in a lawsuit with each other in 2017 which was eventually won by NordPresse. It is run by Vincent Flibustier who also offers media training about fake news on his website, he knows what he is talking about. More: Sela vient d'être diffusé sur BFMTV !